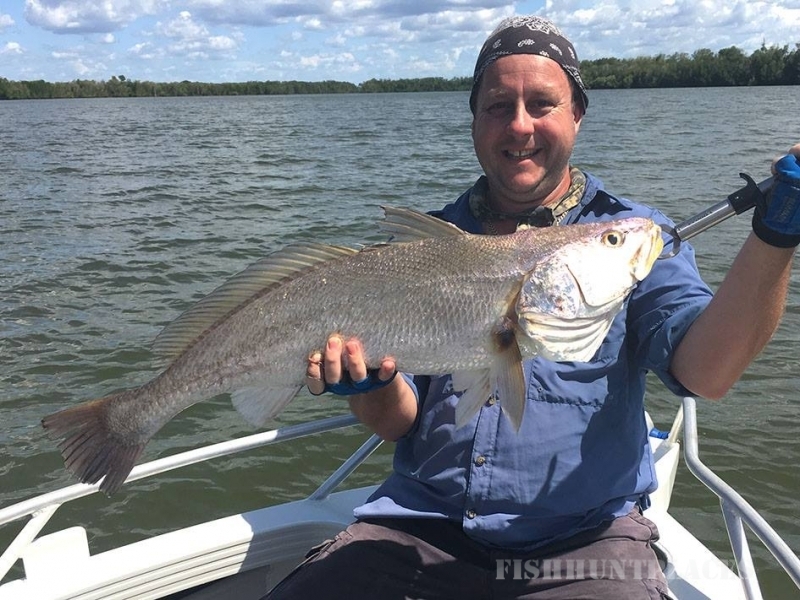 This remote and exclusive area offers first-class barramundi and sportsfishing between the months of March and November each year. Traditionally there are two peak fishing periods per year, the “Run-off” (March/April) and the “Build-up” (October/November/early December). 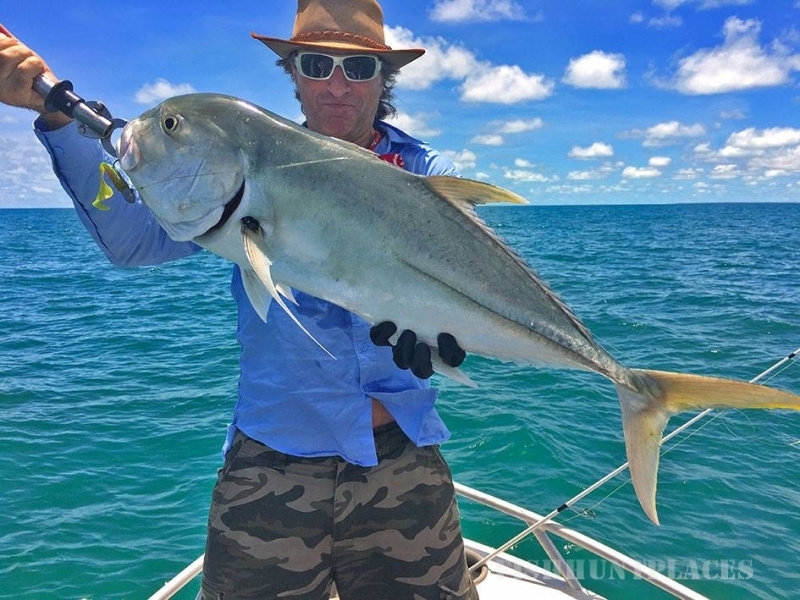 Outback Spirit Tours has appointed Alex Julius and his Fishing Tropical Australia team to act as sole agent for fishing bookings during these prime fishing periods. Please refer to the Bookings, Packages and Prices page for more information. 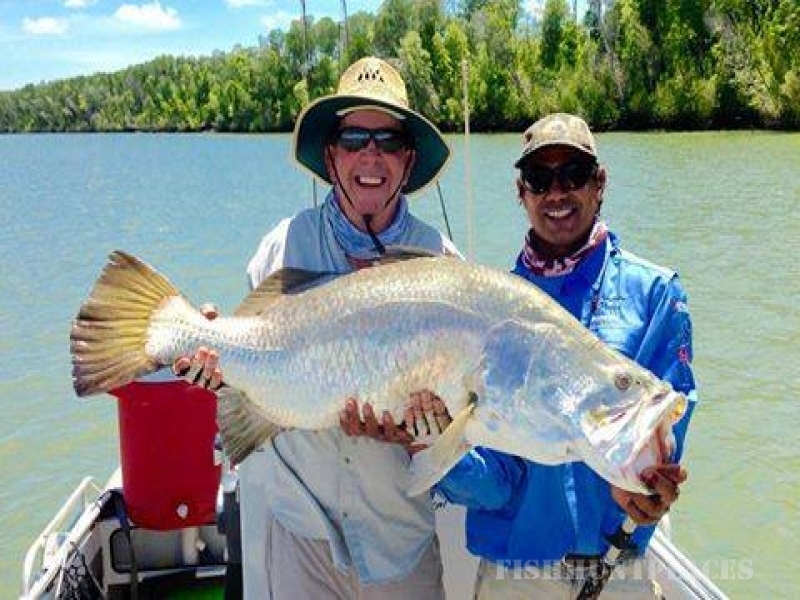 The Arnhem Land Barramundi Lodge is the only fishing tour operation in this region, where entry is restricted to people holding permits issued by the Aboriginal traditional land owners. You will have unfettered exclusive access to a number of pristine Arnhem Land rivers (the Liverpool, Tomkinson, Mann and Goomadeer) plus several coastal creeks and estuaries. 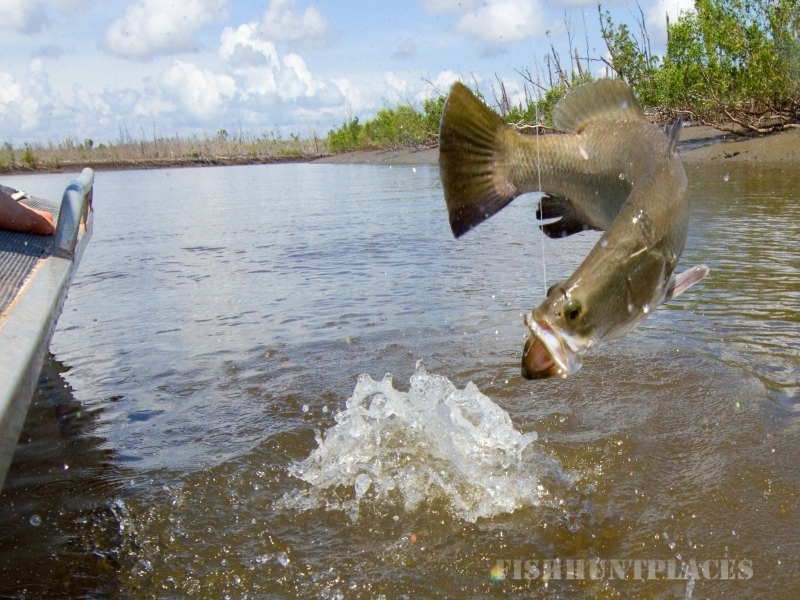 The remote and extensive waterways in this Arnhem Land region have a well-earned reputation for offering some of the best barra fishing in the world. Fishing is from fully-surveyed OceanMaster sportfishers piloted by our experienced and knowledgeable fishing guides.